The Freddie Mercury biopic, Under Pressure, has been fraught with problems for a very long time including changes to the lead actor and director. 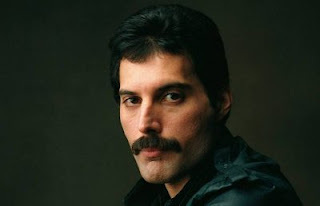 Queen members Brian May and Roger Taylor have been closely overseeing the film, trying to ensure that it tells the proper story of their late bandmate Mercury, including getting rid of original lead Sacha Baron Cohen when he tried to exert too much creative control over the project. They couldn't, however, have predicted the disappearance of the films director, Bryan Singer. Singer's people followed with a statement, saying "This is a personal health matter concerning Bryan and his family. Bryan hopes to get back to work on the film soon after the holidays." According to Deadline's sources, the film is about two weeks away from ending principle photography and, of course, a lengthy break, especially one that could stretch to over a month, could lead to scheduling conflicts with the film's cast and other people. The film includes performances by Rami Malek as Mercury, Joseph Mazzello, Gwilym Lee and Ben Hardy as the rest of the band. That leaves the studio with the decision to wait things out until Singer's return or to replace him with a different director to finish the production.